We meet Mycroft Holmes for the first time in this tale of kidnap and intrigue. Holmes takes Watson to visit his brother Mycroft where they meet Mr Melas, a Greek interpreter and a neighbour of Mycroft. Melas was employed to act as an interpreter at a mysterious house and paid handsomely for keeping quiet about his new role. Melas must interpret for a gaunt and frail looking man kept there against his will. His kidnappers require the man, who Melas discovers is called Kratides, to sign some unknown documents, yet the captive is unwilling to sign. Melas is then bundled into a waiting cab and threatened to stay silent. 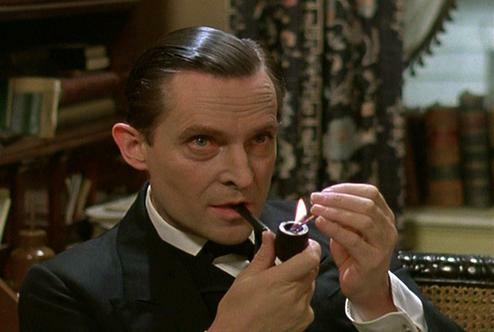 Melas recounts the story to Mycroft who summons the services of Sherlock Holmes. A story laced with fear and a particularly creepy edge to it; The Greek Interpreter is though most notable for the first appearance of Mycroft Holmes, the rather portly and equally brilliant brother to Sherlock. The two brothers compete with one another over a man they see through the window, each trying to deduce who he is. We also pay a visit to the Diogenes Club, where those that wish the company of others but desire the comfort of silence can spend their evenings. We are never told exactly what Mycroft’s employment is, keeping the elder Holmes brother shrouded in mystery.